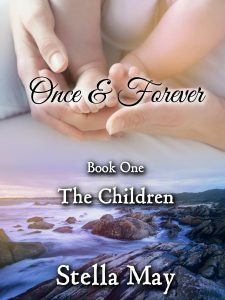 The Children is Book One of the family saga Once & Forever. Dmitry Rostoff’s world has turned upside-down when he discovered that he became a father to a baby girl born in Moscow. He brings his illegitimate daughter to America, honoring her mother’s last wish. A strained and complicated relationship between Dmitry and his mother, Elizabeth Rostoff, the Matriarch of the family jewelry empire, quickly deteriorates after he uncovers her attempt at sabotage. Dmitry’s only salvation is his eleven-year-old son, Peter. The conflict between the mother and son turns into an open war, with both children, and the woman Dmitry fell in love with, caught in the middle. Born in former USSR, Stella May immigrated to the United States in 1991. She graduated with the highest honors from the Music Academy in Baku and earned her Master’s Degree. A resident of Saint Johns, Florida, she is a part owner of a family real estate business along with her husband and son. Author of the poetry, novellas, and plays (since 1978). Family saga Once & Forever is her first full-length novel (in three separate parts). She first started to work on this manuscript in 1998 that represents 20 years of hard work to bring this dramatic story to life.